Check out Kelly Martin’s new release! 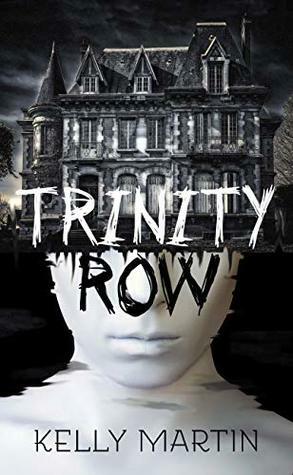 Local legend says Trinity Row is the house that won’t die. Local legend isn’t wrong. Sixteen-year-old Ivy Black and her mom have moved in for a quick renovation to make an easy buck. Then it will be on to the next rundown, abandoned eyesore. For the last three years, Ivy and her mom have run far away from their past. That’s the thing about Trinity Row, though. It doesn’t let the past die. 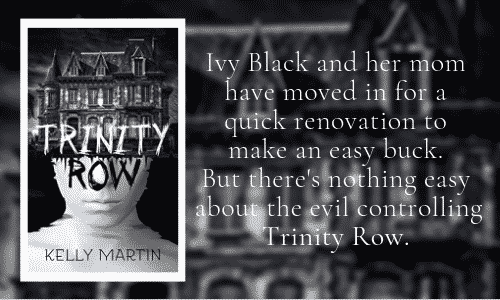 When Ivy finds out that the friends she thought she made and the things she thought she’s seen aren’t exactly what she believed, she goes on a mission to free her mother from the snare of Trinity Row and the evil spirit controlling it. Except, after a trip to Trinity Row, you’ll never want to go home again. For fans of The Haunting of Hill House and Kendare Blake’s Anna Dressed in Blood.